Veritas Press has been a source of great homeschooling materials for us over the last couple of years, including their online Bible course, self-paced history, and their grade level reading lists, so I was intrigued by their new Phonics Museum app. With one little man left to introduce to the world of reading, the timing was perfect for us. We were given a year’s access, and I encouraged my Mighty M to work on it a little every day. My little guy has been eager to work on it and proud to have his own “school” to do every day. (Even while I’m writing this review, he just ran in and stole the iPad so he could do his app!) He’s a great fit for the app because he’s still learning his letters. The app begins at the very beginning, with commonly used letters in words. It doesn’t go in order, “A, B, C” but instead starts with “A, M, and B”. Their goal is to get the kids reading quickly! The app opens with the student on the ground floor of a museum. They go into the elevator, hit the 1 button, and proceed to the first floor. There, they work their way down a hallway filled with paintings. The child clicks on each painting to take them into a video or a game. If a parent was so inclined, they could do some deeper exploration into the various paintings and artists that are included in the app. The app alternates with very short instructional videos and lots of games to build letter and sound recognition. I appreciate that the app is very straightforward and easy to use. He can do it on his own and doesn’t need me to help him figure out what to do next. This app has him making small words already, and he’s only on the 3rd “floor”. 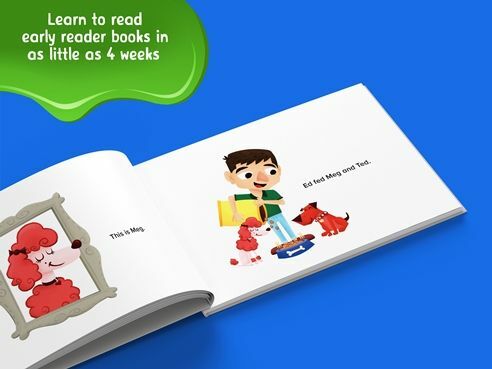 Veritas says that kids can be reading early reader books in as little as 4 weeks! We’re not there, but my little man is young and just getting started. It’s definitely feasible for a slightly older and more mature student! Currently, the app is best for a beginning reader because there isn’t a built-in option to adjust the levels. Everyone starts with learning letters. An older student could step through the games and videos, if they need the review. The developers are working on adding this feature though, and they will manually adjust it if you contact them. That’s great customer service! You can download the app from the iTunes app store here –> Phonics Museum app. The app can be used for up to 3 kiddos and is $9.99/m or $99 for a year. We have an older iPad 2 and the app has worked just fine for us. It requires IOS 9.1 or later and will run on iPhones, iPads, or iPod Touch. I recommend the iPad because the bigger screen is helpful! « Back to School Deals for 8/13/17 – 8/19/17!